Whenever one thinks of Halloween, one’s thoughts are not immediately drawn to comedy. As the holiday approaches, one desperately seeks for a clever costume presumably from a source that has a closer connection to Halloween. However, many of the greatest costume ideas can be inspired by television shows that are written to make people laugh. These shows typically have an episode dedicated to Halloween, and in those special episodes the viewer is often presented with costumes that strike a reaction. Here are some of the best costumes exhibited by characters in television comedies. One can safely say that every fan of The Big Bang Theory loves Sheldon (Jim Parsons), and that it is impossible to forget his Halloween costume from the show’s freshman season. 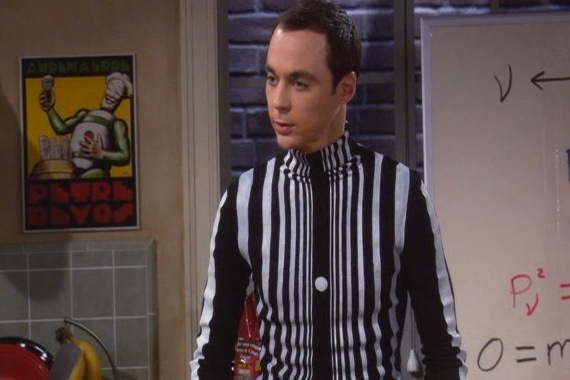 Few people have ever accurately represented a scientific principle in a costume, and Sheldon definitely succeeded in representing the Doppler Effect, the apparent change in the frequency of a wave caused by relative motion between the source of the wave and the observer. However, since he was attending Penny’s Halloween party with few other science geniuses while wearing this costume, everyone failed to guess what he was dressed as. Even after giving hints, people thought he was dressed as a zebra. This of course only added to the hilarity of the episode, but it also certified that nerdy Halloween costumes can be both funny and fun. Many people can form horrible puns, but creating a Halloween costume out of one is not for the weak. In New Girl’s season two Halloween episode, Shelby (recurring guest star Kali Hawk) manages to turn the common phrase “it’s raining cats and dogs” into a clever costume. Dressed as a queen with stuffed cats and dogs attached to her cape, the pun could not be more obvious, but only a few people in the episode were able to identify what she was dressed as. This guessing element definitely increased the costume’s success, and the pun made it memorable. Shelby’s creative idea shows that sometimes the cheesiest costumes can be the best costumes. 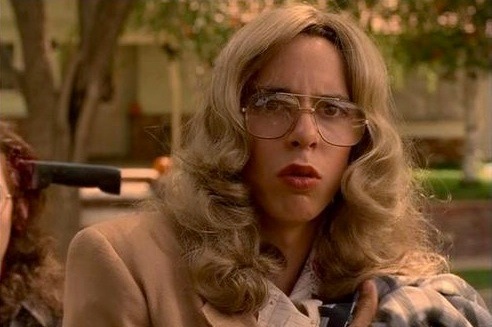 In Judd Apatow’s single-season show’s Halloween episode, geeky Bill (Martin Starr) happily dresses as the Bionic Woman, the main character from the 1976 television show of the same name. However, he ultimately fails to look like the character, and passers-by assume that he is simply dressed as a woman. Inevitably, Bill receives multiple funny looks from fellow trick-or-treaters. His oblivion of the fact that his costume gave the wrong impression makes the costume even better. Many Halloween costumes are not perfect, and some definitely fall far from the range of being accurate, but that does not mean that such costumes are not great. In Bill’s case, his failed costume left an unforgettable impression on the show’s faithful fans.